• Colonial I, LLC d/b/a Colonial Inn, 321 High Street, for a new City Lodging House License. 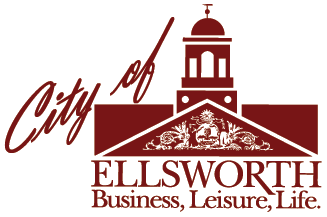 • Ell Gov’s, LLC d/b/a Governor’s Restaurant, 253 High Street, for renewal of a City Class C License (Victualer/Liquor) and renewal of a State Restaurant (Class III and IV) Malt and Vinous Liquor License. • Sanjeeva Abeyasekera d/b/a Serendib, 2 State Street, for renewal of a City Class C License (Victualer/Liquor) and renewal of a State Restaurant (Class III and IV) Malt and Vinous Liquor License. 13. Council Order #021904, Request of the Deputy Treasurer/Tax Collector to offer for sale by sealed bid various properties that have been acquired for non-payment of real estate taxes. (Complete list available at the City Clerk’s Department). 14. Council Order #021905, Request of the City Manager to confirm the appointment of an Interim City Planner. 15. Presentation and discussion on a possible Single Use Plastic Bag Ordinance, presented by the Green Plan Subcommittee on Energy and Solid Waste. (Sponsored by Councilor Fortier). 16. Council Order #021906, Request of the IT Systems Administrator for approval to sole-source the Water Department Fiber Construction project to Northeast Cable Construction. 17. Executive session to discuss personnel matters in accordance with MRSA Title 1, Chapter 13, Section 405, Paragraph 6A.